I may have mentioned this earlier. I am a breast cancer survivor. In couse of life I had met a lot of wonderful women who had been though this ordeal. They were all brave ladies who had fought and lived to survive cancer. There are women there who have fought it off more than once. I have developed wonderful relationship with them. As someone mentioned -- "We are not sisters of blood but sisters of heart". No one who has not been a part of this group will ever understand what they mean to me. As for emotional support no one can ever equal them because we have walked the same path, stumbled on the same stones, been pricked by the same thorns. 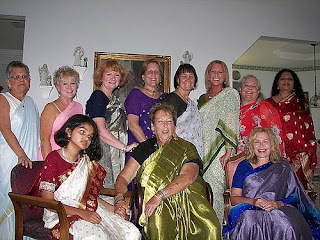 This was the sari Party the American sisters had in honor of their Indian friends... You can see my daughter in white and dark red sari. Both my kids are part of this family and well accepted by everyone. I will be sharing more of my experience later on with you friends. I am not sure whether I should have a seperate blog to share my BC experience. Any suggestions. So good to know that you caught it earlier, both of my sisters are bc survivors. yes there are two site for me, sorry you lost power. And thanks for sharing this .This is encouraging a great deal to all. No, just write it on your blog! This is something that affects men as well as women, so they should be aware of what to look for too! Happy you survived it, my mom survived it too. 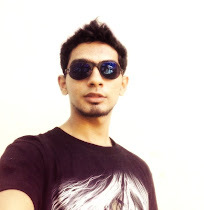 Please do write about it here, these are chapters in your life, thank you for sharing. 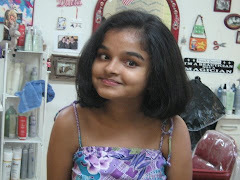 I have different links for my blogs.. So that should be it. Everything on the same page with diff links. I am so glad you are survivor of BC, last year i went through terrible experience with NHL (Non Hodgkins Lymphoma, had 8 cycles of chemo, thank God i am alive today! !